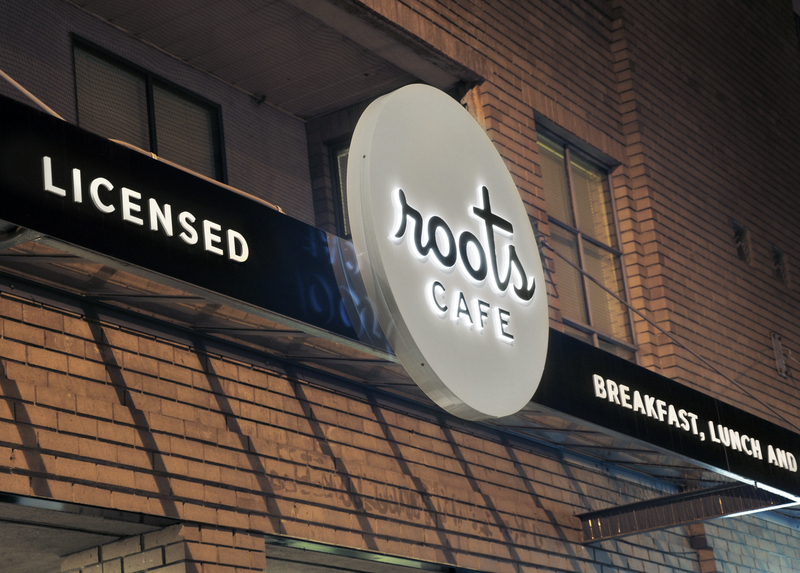 Roots Awning with Illuminated Acrylic Signs and Vinyl Graphics | Vancouver, Main St. This sign is comprised of a custom Alupanel® awning skirt with applied Avery® vinyl lettering. Each Awning Features LED Backlight recessed acrylic lettering and custom Alupanel® Frame . This particular application highlights versatility of Alupanel® through formability and ease of integration with other signage materials. 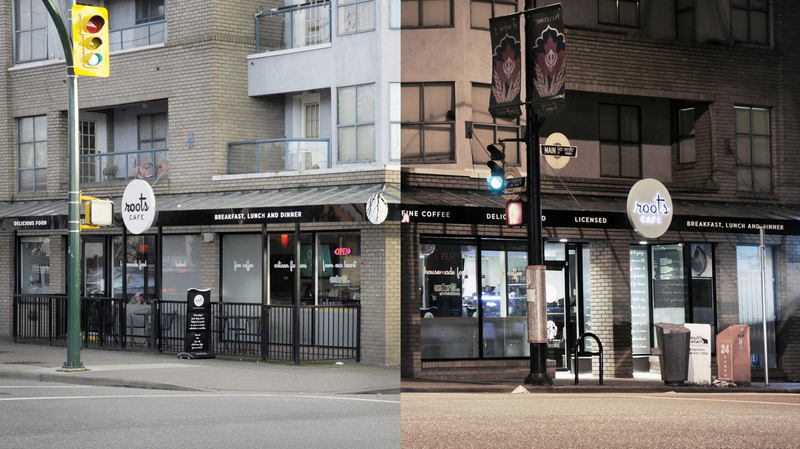 This entry was posted in Acrylic Signs, Illuminated Signs Vancouver, Signs for Vancouver Business, Vinyl Signs and tagged Vinyl Signs. Bookmark the permalink.